Taking your much loved pet on a long vacation might sound interesting. However, it can alleviate your worries in planning a safe trip. Unlike human beings, the process of figuring out what could happen to your pet on the road is easy said than done. You need to engage in lots of homework to figure out what your pet could go through. After all, cars, trains and planes are not designed with pets in mind. 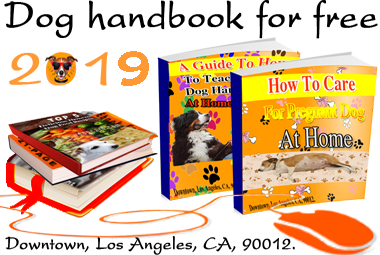 As ardent and caring pet owners, you should know what to expect as you reach the final destination. If you are traveling with a dog, you should plan well ahead of time. This is how you can have a relaxing time with your dear ones and the pet! If you are planning to drive a dog in a car or train, you should be prepared to crate. A lot of dog owners tend to feel miserable when the idea of crating pops up. Indeed, would you wish to be crated? Certainly not right? This works well with dogs in the car too! They may not like being crate and carried along in closed vehicles. However, you can do some things to make their journey safe and pleasant. While traveling with a dog or furry animals, make sure they are perfectly exercises. Before a dog travels in a car, it requires lots of physical training. To be more precise, he has to get rid of excess energy and be prepared to rest. This is undeniably one of the toughest things you can ask a dog to do! Also, make sure the crate doesn’t have anything that can harm your pet. Loose collars and leashes can be dangerous too. These items can increase the risks of strangling hazard. Never let the pet feel like in prison or stuck somewhere unpleasant. When traveling with a dog, you should keep your energy high and positive. Let the dog/cat see the crate and experience it. Never shove the dog/cat into the crate. Let the dog move into the crate by himself! As he gets comfortable, you should close the door with his knowledge. Throughout the process, you should walk around with high, positive, good energy and an upright body language. Never sound sad because your dog will sense a wave of trouble and become extremely anxious. Keep an eye on the dog every 15 minutes; however, don’t get him out of the crate. This will make him feel like the crate is something bad. If you are ought to traveling with a dog in a car, it is always wise to crate it. The crate serves many interesting purposes. First of all, it will make sure you are less distracted and extremely safe during the drive. That way, all your dear ones will be safe and sound. Moving on, it will prevent your furry friend from being projectile when you make sudden brakes. In other words, it will be less likely to face injuries. With respect to projectiles, you shouldn’t feed too much food to your dog during long trips. Excess food can cause motion sickness. Also, don’t feed when you are on the go. Wait till you stop somewhere and this is when you should give a healthy snack to the furry creature. According to experts, you should feed a snack that is high in proteins. Meanwhile, it would be wise to spend some time and play around with your furry friend during these breaks. Never leave your dog in a car that is ought to be parked for long, especially if you are traveling during warm summer. Even an open window can turn the car into an oven. A lot of people wonder if they should medicate their pet or not while traveling. Well, this is a smart question raised by novice pet owners. With so many pharmaceutical options for human beings, it will be very tempting to give your pet a sedative during the journey. Unfortunately, this would be an unwise move. Experienced pet owners don’t recommend medicating pets during trips. This can become a habit and you should rely on pills at all times. When traveling with a dog, you have all the tools and techniques required to keep him calm – this includes your body language, voice and attitude. Traveling with a dog becomes extremely challenging when you should keep them calm and composed. Just like kids, you should keep your pet calm with their favorite toys and blankets. Carry with you a toy, blanket, bone or any item he is comfortable with. For extra levels of comfort, you must treat the dog with aromatherapy or a deep massage. These are simple ways of ensuring your dog is totally relaxed and comfortable. In case you are new to aromatherapy, opt for professional help. Ask experts to assist you with the massage. If you are traveling to a new place with the pet, this can be a massive change to your furry little friend. The trip will mean plenty of sounds, new sights, food items and smells to your pet. Be very vigilant when you take your pet to regions that can be ingested. If the place is going to be flooded with decorations and lights, you should safeguard them from anything that could be dangerous and distracting. In simpler terms, keep an eye on him at all times. It is of paramount importance that your dog senses your presence everywhere. Never take your dog anywhere alone! You should always have a substitute pack with you. For example, if there is a kennel, your pet should be accepted into it readily. Staff and locals in the place should welcome your pet with open hands. In fact, they shouldn’t mourn your pet’s presence. It will be a big thing for the pet to detach himself from your care and join a new pack. That is why you should ensure your travel destination has substitute facilities for pets, especially dogs! Again, be assertive and calm about how you introduce the pet to new surroundings. Regardless of whether you are flying with your furry friend or it is shifting places without you around, you must handpick airlines services that would make the entire journey safe and smooth. The airline should route the entire trip, right from the start till the end. Once you choose the airline service provider, you should be aware of their terms and conditions. For example, you should understand if the airline will let your cat or dog fly with you in the cabin. Likewise, you should be aware of any possible restrictions. Sometimes, the pet should travel in the airline’s cargo and this can make his journey terrible. Flying with a dog can be done in three different ways. You can opt for checked baggage, in cabin luggage or manifest cargo. As suggested by its name, checked baggage cargo is a way of traveling with a dog. Here the pet will not be allowed inside the cabin. However, it would be checked in like a baggage and the cargo would hold the furry creature. In-cabin is a pristine way of traveling. This is when the airline carrier would allow you to travel with a dog next to your seat. Here, the pet should travel with an adult passenger. If the pet is very big, it has to be moved as manifest cargo. You are about to travel with your pet in an airplane together; so, do you know how to handle airport security like a professional? You have cleared the reservation desk and your pet seems to be totally comfortable with the complaint carrier. In such a situation, do you believe everything is under control? Are you sure about the fact that everything is working in accordance to the plan? As you proceed to the TSA security counter, you will see that officials have a series of formalities for your furry companion. With so much confusion amongst fellow passengers at the security checkpoint, clearing a pet is easy said than done. You should try and proceed to the security as early as possible. Meanwhile, you should make sure the airline authorities are aware of your furry companion. Contact the airline officials beforehand and ensure all necessary security formalities are completed successfully. At the security screening point, you should present the furry traveler to the security officials. Once basic checks are done, you should walk your pet through the detector. In case this step becomes impossible, your pet should undergo secondary screening. This comprises of physical inspection and visual scanning. Luckily, your pet will not be scanned using the X-Ray machine. If you have a carrier for your pet, you may be asked to pass the carrier through an X-Ray unit. According to experienced travelers with pets, you can request for a separate room that will ensure your highly scared or spirited pet doesn’t run away. The room will become essential when the pet is taken from the carrier. A very important thing to be remembered when traveling with a pet would be preparation. Give your pet and yourself plenty of time. Try to reduce your hand luggage as much as possible. For example, steer away from items like laptops, coats and purses at the security checkpoints. When traveling with a dog, the furry companion should receive your complete attention. That is because even well-trained and calm pets can become extremely scared and nervous. Once all security checkpoints are cleared, you will be allowed to fly with your pet in the aircraft. Now, flying around with a pet can be a joyful and a scary process. If your pet is with you in the cabin, here are few things to lend you a hand of help. In case you haven’t done it before, the next few lines will undeniably help you! After all, the last thing you would wish to cope up with during a flight journey would a whimpering puppy or a howling wild cat! With this being said, how can you keep your furry companion quiet throughout the entire flight? Firstly, remember that your pet shouldn’t be removed from its carrier. This is the last thing you should even dream of doing. There is a trick in keeping pets calm. You should isolate them smoothing from crazy noisy activities. For example, reduce the noise in loading and unloading overhead compartments. It would be amazing if you can carry your pet on your lap. Pets love being hugged, so don’t think twice to hug your pet and keep stroking it smoothly. When you want to make sure everything is fine, ask your pet with a very low voice. Always remember that flights can have many so-called-good-boys-and-girls, who are waiting for a nervous sound from your pet. In most airlines, you will be suggested to stow your furry companion under the seat in front. However, it will be very difficult to see your pet lie like this! To avoid awkward moments, you should place the pet carrier in between your feet. Now, slide the carrier underneath the seat slowly. Move the pet with lots of vocal assurances and as slowly as possible. Conversely, the carrier should be placed between your feet throughout the journey. If the furry little one becomes very fussy, you should unzip the carrier and pamper them. This will calm their emotions and encourage them to remain at peace. Since you are traveling with a pet, you will not be provided with additional pet meals. That is why you should carry meals for your furry companion. As mentioned previously, you shouldn’t feed them too much food. Try to cut down on how much you feed them. At all times, ensure their belly is not filled fully. Also, don’t open the carrier completely so that your furry friend can pounce out and escape. This is never a good thing, especially in a flight. Another important thing to remember would be “Grooming”. Try to groom your pet and make him a happy traveler. If you are traveling with a dog, the right kind of carrier should be chosen. There are several different types of carriers with special airline complaint features. As a potential traveler who wishes to delight his/her pet with comfortable and safe features, here are few things you should remember. First of all, the carrier should be completely waterproof. Its bottom must be designed with materials that wouldn’t let water seep through. Waterproof carriers will ensure the pet doesn’t create a mess around. Well, these carriers can be expensive; however, they are the best for air travel. Secondly, the carrier should have sufficient amounts of ventilation. Air should flow through the carrier smoothly. Carriers with the right kind of ventilation will ensure your pet start comfy throughout the journey. Safety plays a very important role when it comes to airline complaint pet carriers. The carrier you choose should comprise of safety features like zippers and must not have any snaps. Also, ensure the carrier fits within the front seat perfectly. You can gather details about this space from the airline officials. Above all, make sure the carrier is meant for your pet. It should be able to rise and turn around easily. Another important criteria would be the carrier’s dimensions. This makes a very big difference of whether you get into the flight with the pet or not. To avoid unexpected disappointments, measure your pet’s height and choose a carrier. If your pet is more than 15 pounds and longer than 18 inches, he will not be allowed into the cabin with you. To know more about the flight’s limitations, you should visit its website. In most cases, you will read about the flight’s size requirements and if pets can be stored at your footrest. According to recent standards, only medically certified animals are allowed to travel in trains. Continental United States permits service animals to ride on specific trains. Apart from small tourist trains, USA doesn’t have trains for pets. Only some trains in cities like Boston and New Jersey are customized for small pets. On the other hand, almost all trains in Europe are designed to carry pets. All trains operated by the National Rail in England accept pets. In fact, there are no seating restrictions or special charges for pets in UK trains. You will be astonished to note that pets have the freedom to travel on buses too. Once again, you will not have any seating restrictions but you should pay a small fee. For the other railway lines, you should scan through their terms and conditions. Some trains allow, whereas the others don’t! For instance, there are some trains that permit small dogs to travel at a small predestined fee and larger dogs are allowed to travel at half the second class fare. The charge has to be paid directly to the conductor. Just like flight journeys, you should keep pets in a traveling container. Meanwhile, you can let dogs come in sleeper cars too. Traveling by trains can be a very economical mode of transport over airplanes. Additionally, traveling with a dog in train will be a less stressful experience. All that you should do is stay prepared and draft a cleaner plan. If you are ought to traveling with a dog for the first time, you will require a good cage that is both safe and strong. The cage must help you move your furry companion across places in a smooth and effortless manner. Over the years, the Variocage double crash tested dog cage has become a successful option for moving pets. This is a strong cage that can get rid of many pet transportation problems. The cage is renowned for its special features like: escape hatch, load tested straps, built in lock & key, built in crumple region, high quality steel body, unique design and easy installation. The Variocage Crash Tested Dog Crates is ideal for pet owners who are extremely concerned about safety. If you really love your four legged companions, the crate will satisfy all your requirements. The crate is designed to fit in any vehicle (includes train, car and flight). And, pet owners who want to give their four legged animals a perfect home will find portable dog playpens useful. These are amazing structures that can give your pet plenty of space to play around and travel merely. According to experienced pet owners, portable dog pens are godsend cages for pets that go on excursions and long drives. When you buy portable dog playpens make sure you check on its versatility, sturdiness, design, overall rating and security. Some of the town’s finest portable dog playpen includes the “Paw Pet Pop-Up Playpen Deluxe”, “Zampa Pet 45” PlayPen”, “ESK Collection Pet Puppy Dog Playpen Exercise Unit” and “Precision Soft Side Playpen”. When compared against portable dog crates, playpens are lighter, much more portable and lighter. They are designed with many purposes in mind. Of course, you should understand why you need a playpen before you pick a playpen. If it is for traveling with a dog, make sure the playpen is made for long distance trips. Traveling with a dog in playpens will make the entire process less daunting and convenient. Once again, you are not expected to leave the little fellow alone at home! Traveling with a dog is memorable experience. However, the process requires ample planning and careful estimations. Always remember that your pet loves to move around with you. And, you should make strategic decisions that will make the journey safe and comfortable for them. This is one of the finest and best things you can do to keep your four legged travel companion happy. After all, doesn’t your pet require a break? Previous articleHow To – When My Dog Is Sick?